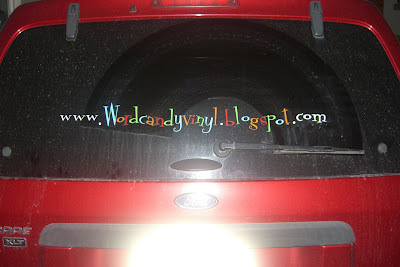 WordCandy Vinyl: Advertise your business! Excuse my dirty car! Vinyl is perfect to advertise your business on your vehicle. It is durable and stands up to a lot as you can see from my car! E-mail me your idea and I will help you design something uniquely for you! I want this for mine at http://hipposcraps.blogspot.com! I'm emailing you right now! 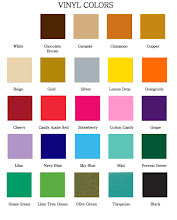 Definitely, vinyl sticker is the best and effective way to advertise your business. It easily catches anyone's attention.